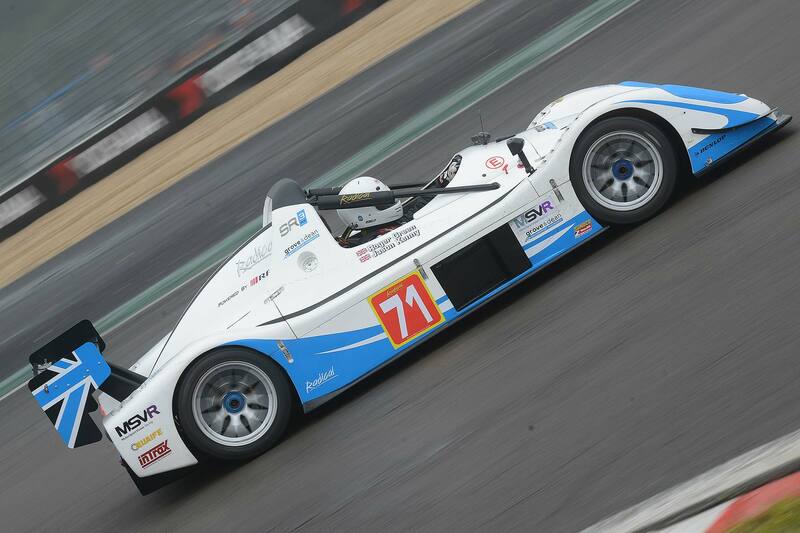 … By racing a Radical at Brands Hatch this coming Bank Holiday weekend! The track cyclist will drive a Radical SR3 RSX in the Radical Challenge, aiming to continue a successful streak on four wheels: in his last motor race, back in 2014, he finished on the podium at the challenging Nürburgring circuit in the Radical European Masters. Racing took a back seat since then as Kenny prepared for the Olympics – rather successfully too, it seems – but now he’s back from Rio, he’s keen to get back behind the wheel. Kenny is now tied with Sir Chris Hoy as Britain’s most successful Olympian: both hold six gold medals and one silver. Sir Chris is one step ahead of Kenny on four wheels though – after starting off racing Radicals, he’s since gone on to race at Le Mans. Following the Brands event this weekend, Kenny and Sir Chris will actually be team-mates in a Radical Spyder during a race later this year at Jerez… so what are the sporting odds on Kenny getting some top tips and eventually following him to the Le Mans 24 Hours? 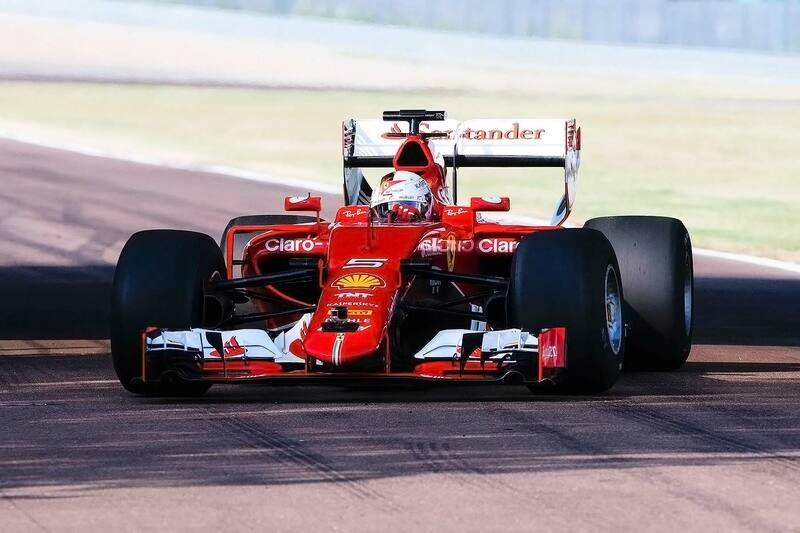 Ferrari F1 star Sebastian Vettel has become the first driver to test Pirelli’s wider wheels for 2017 at the Italian team’s private test track in Maranello. The four-time World Champion will be driving on the new tyres all day today (Monday 1 August) before Haas F1 driver Esteban Gutierrez takes over the car on Tuesday 2 August (Haas F1 uses Ferrari engines). 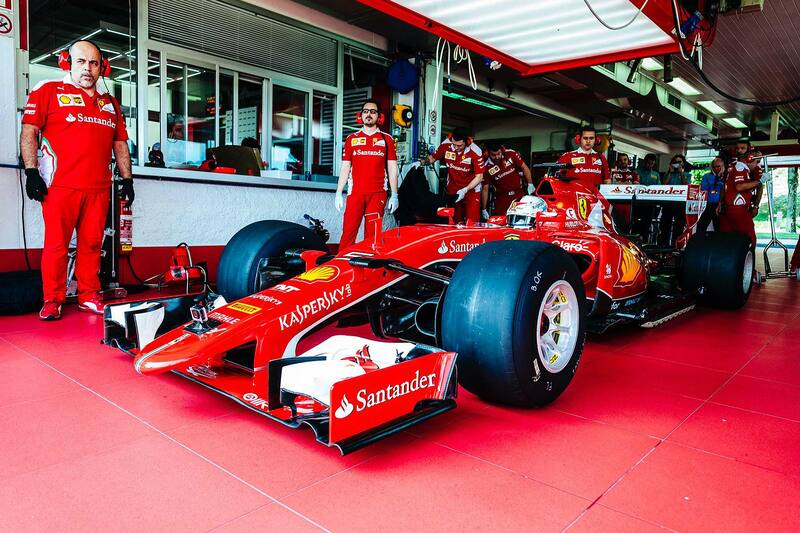 Both drivers will be trialling wet tyres on an artificially dampened track. The new tyres mark a big change for F1: they are 25% wider than the current rubber and, along with a series of aerodynamic changes, are being introduced to make F1 faster. 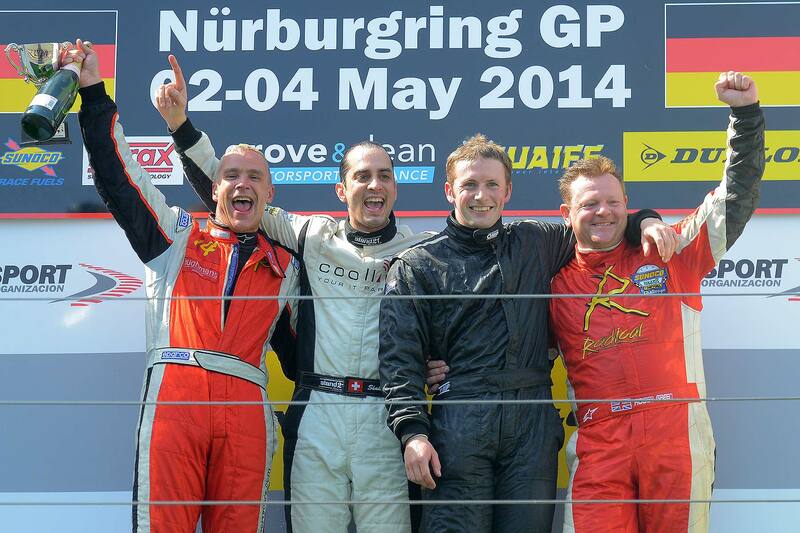 The target is a lap time two seconds faster than today’s cars. 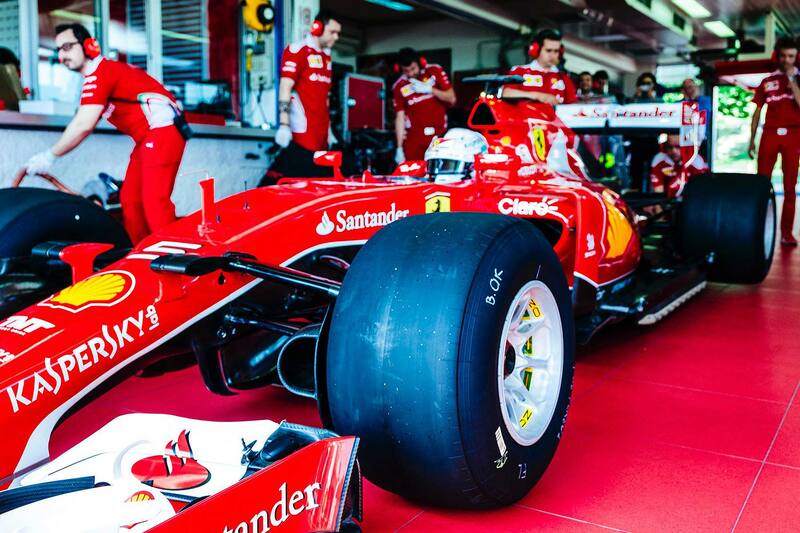 The wheel size, however, remains at 13 inches, meaning F1 cars retain their ultra-deep sidewalls. Even a base-spec Ford Fiesta has bigger wheels than a modern F1 car. 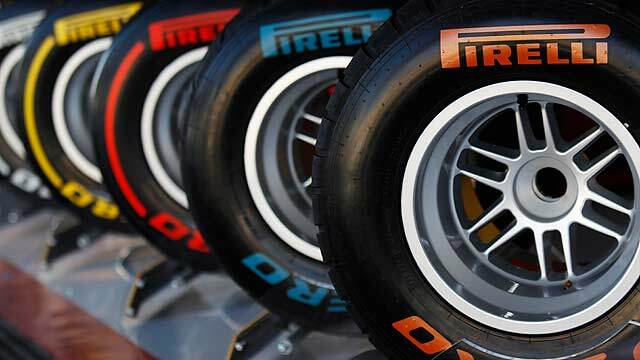 Other teams will test the new 2017 tyres as the 2016 F1 season progresses: Red Bull Racing will be the first to try out the new slick tyres, with AMG-Mercedes also getting their hands on the tyres in September. There are Elise Cup race series running all over the world and, since we now have a fancy new Cup 250 road-going version of the Elise, Lotus has taken the same performance upgrades and twisted them into the track-going Elise. Creating, says boss Jean-Marc Gales, “the most focused Elise we’ve ever produced”. 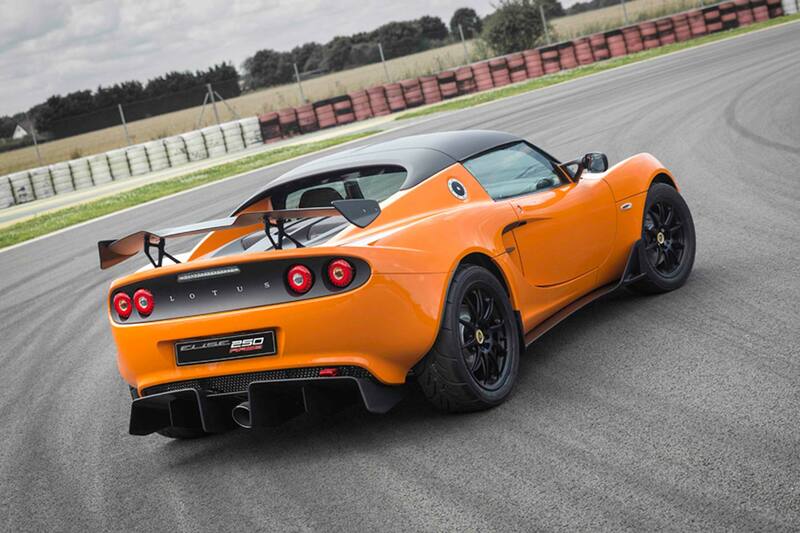 Compared to the old Elise Cup 220 R, the Else Race 250 gets a cooler name, an extra 30hp (but no more torque) and a tiny weight reduction to “less than 900kg” (a road-going Cup 250 is 931kg). It also gets a full zero-lift aero package that generates 66kg of downforce at 100mph and 155kg at its 154mph vmax – 30kg more than before (and, um, exactly the same figures as the road Cup 250). 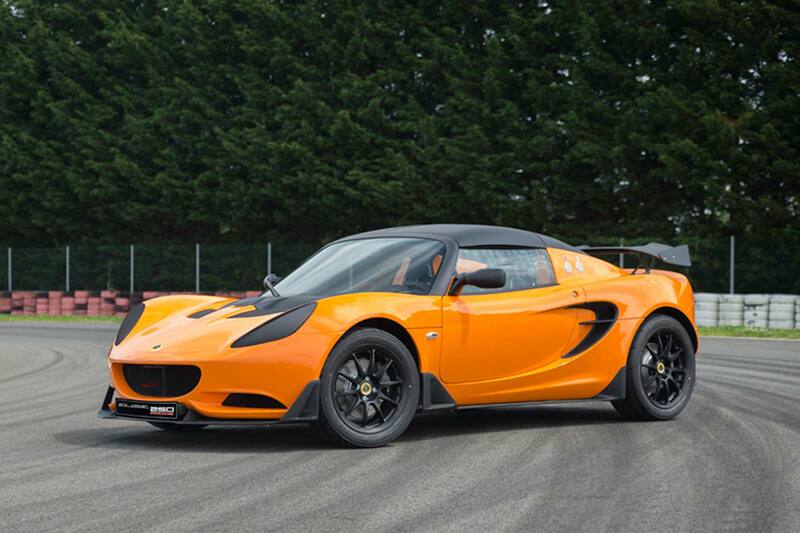 Lotus says it’s enough to deliver a Hethel lap time of 1 minute 33.5 seconds, half a second faster than the Cup 220 R, making it the fastest race-spec Elise ever. This is another new Lotus that has bene into Gales’ ‘Lightweight Laboratory’. A lithium ion battery cuts 10kg, carbon fibre race seats chop 6kg and the forged alloy wheels are “ultra-lightweight” to give an additional unspecified weight saving. You can go further if you can afford to: the carbon aero pack replaces the regular front splitter, rear wing, rear diffuser and side floor extensions with carbon fibre ones, saving 10kg and perhaps making you race that bit more carefully through fear of shattering them. 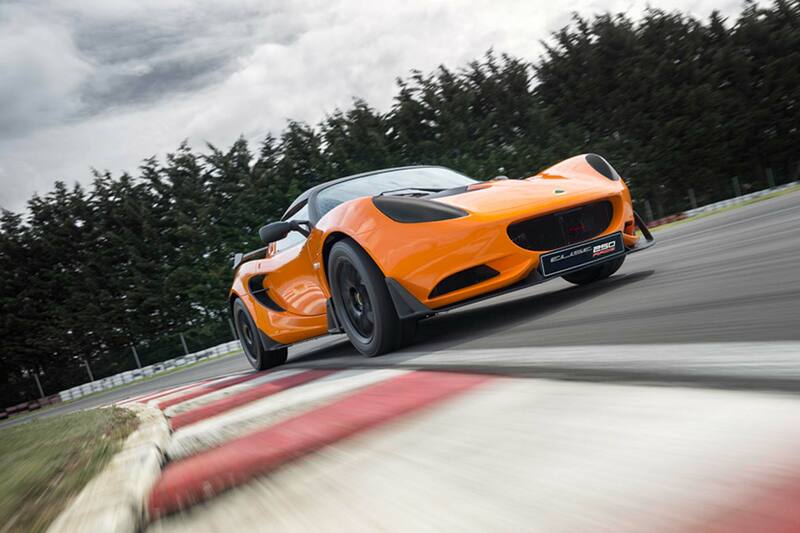 What else does a race-spec Elise get? Nitron adjustable dampers, Eibach coaxial coil springs and an adjustable front anti-roll bar. There are AP Racing two-pot front calipers and Brembo single-pot rear calipers, Lotus-developed ABS and Yokohama AO48 tyres; 195/50 R16 on the front, 225/45 R17 at the rear. The steering wheel is removable, the rear windscreen is polycarbonate and the carbon fibre race seat is FIA-approved and fitted with a six-point harness. You also get an A-frame harness bar, FIA-spec front rollcage, fire extinguisher, battery isolator, and composite blanking plates instead of headlights. If you run out of talent, Lotus has also fitted front and rear towing eyes. The latest racing car from the company that won seven World Constructors’ Championships and six World Drivers’ Championships costs £53,500 including VAT: if you’re racing in the USA, it’s $76,200 sans local taxes. A road-going Cup 250 Is £45,600. Nobody has ever said racing is cheap. 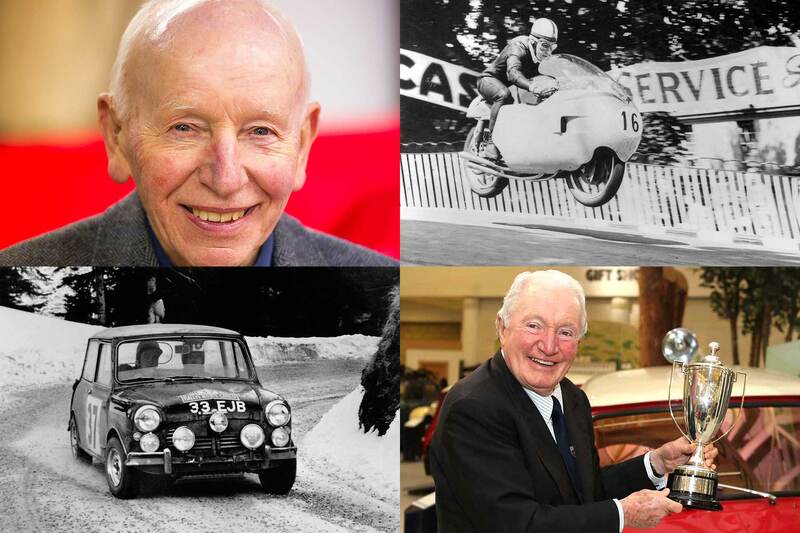 Motorsport legends John Surtees and Paddy Hopkirk have both received New Year’s Honours in the Queen’s latest list of recipients. John Surtees has been awarded a CBE for services to motorsport, on top of the OBE he already holds: this is for services to motorsport. Paddy Hopkirk has been awarded an MBE, again for services to motorsport but also, for his role as a patron of charity SKIDZ, services to young people. Surtees’ CBE follows a long-running campaign to see him awarded a knighthood: in the British five-class Order of the British Empire system, CBE is one step down from a knighthood. CBE is Commander of the British Empire: the next step up is Knight Commander of the British Empire, which would allow the only man ever to be World Champion on two and four wheels to be called ‘Sir John Surtees’. Surtees is a four-time motorcycle 500cc World Champion, winning the title in 1956, 1958, 1959 and 1960. He then moved to Formula One and became World Champion there in 1964 while driving for Ferrari. Paddy Hopkirk is one of the most famous winners of the Monte Carlo Rally, triumphing behind the wheel of a Mini Cooper S in 1964. Renault has given loyal Formula 1 workers in Enstone, Oxfordshire the best possible Christmas present by confirming it has completed the purchase of the Lotus F1 Team. After signing a letter of intent to buy the team in September, a lengthy period of negotiations ensued. This was completed on 3 December; since then, says Renault, “all parties involved have been working relentlessly to comply with all of the contractual and legal obligations under the agreements to enable the transaction to successfully complete”. Last Friday, the transaction was indeed successfully completed – and the team is confident its 2016 racer will be ready for testing in Barcelona at the end of February. Just prior to this first testing session, Renault F1 will announce its new team name, management structure, team partners and other key details during an event it plans to hold in Paris. Renault’s already appointed a new board of directors though: Jérôme Stoll as Chairman and Cyril Abiteboul as Managing Director. The news means the Enstone team will once again be known as Renault – after the French brand sold its F1 team to Genii Capital in 2009 and headline sponsor Group Lotus renamed the team in 2012. 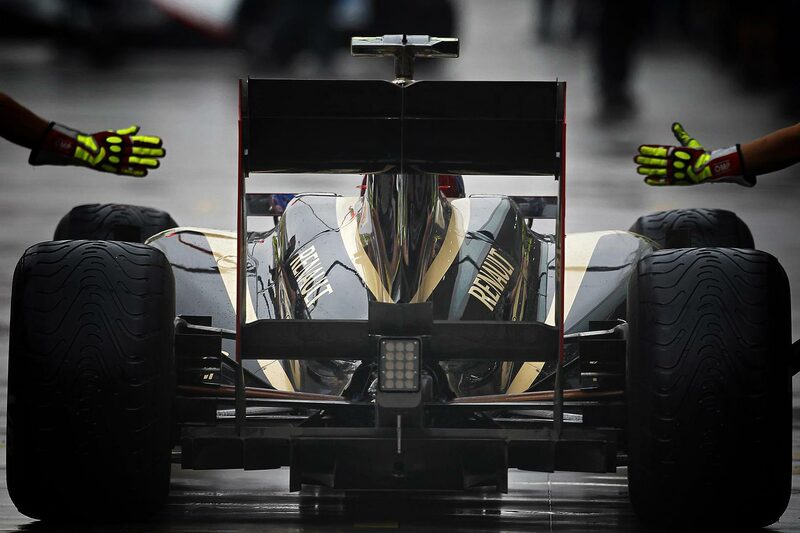 Genii remains a shareholder in the team; Group Lotus terminated its title sponsorship arrangement in 2011 but the team retained the Lotus F1 Team name. 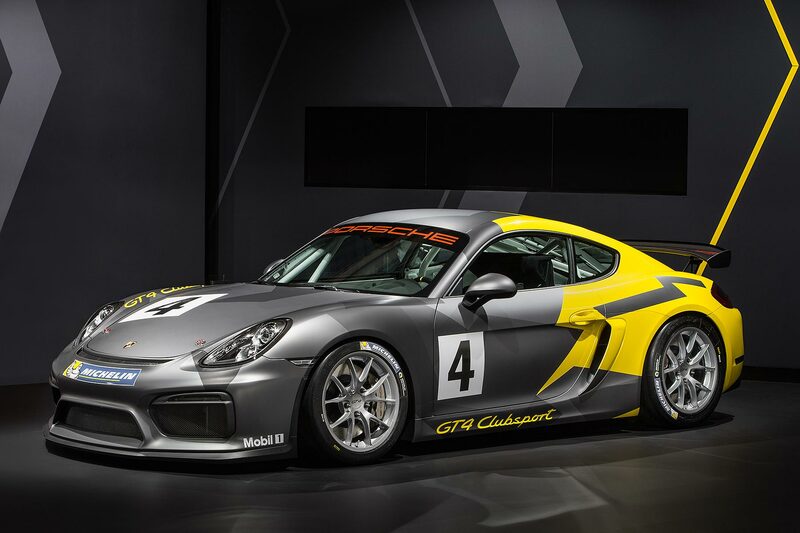 Porsche has revealed a 385hp race-ready Cayman GT4 Clubsport at the LA Auto Show 2015 – and for those keen to race it in the 2016 season, the firm will start taking orders for it immediately. Which is a bit of a pity as it sounds amazing. It has a race-spec PDK transmission with steering wheel shifters (the road car is famously manual only), a mechanical LSD and a lightweight front axle taken straight from the Porsche 911 GT3 Cup. The rear suspension also uses 911 GT3 Cup bits, there are 380mm steel discs all round and six-pot aluminium fixed front calipers. Want adjustable ABS? You’re in luck: the Cayman GT4 Clubsport offers you a choice of 12 settings. The stability control system has also been tuned for slick tyres: they’re 18-inch rims all round and use Michelin tyres. 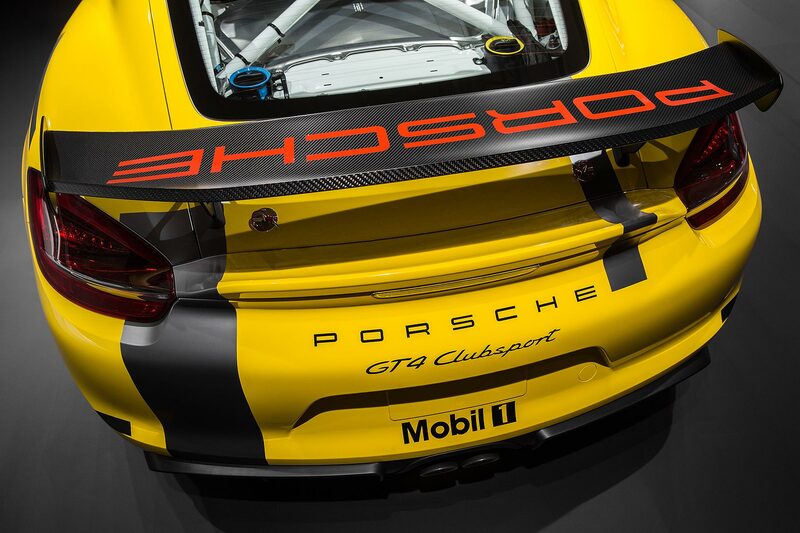 Overall, the Cayman GT4 Clubsport weighs 1,300kg – and that’s complete with a welded-in roll cage, racing bucket seat and six-point harness. Oh, and a 90-litre fuel tank: Porsche will also fit either a 70-lite or 100-litre FT3 safety tank, if you wish. Price of the stunning-sounding Cayman GT4 Clubsport? €111,000 plus taxes: reckon on around £95,000 in the UK. Which, yes, is a lot for a Cayman. And may be why Porsche isn’t making a road-going version after all. That won’t stop us lobbying for one, though. Where can you race the Porsche Cayman GT4 Clubsport? MotoGP star Marc Marquez has scooped this year’s BMW M Award for best qualifier with a total of eight pole positions – and driven away in yet another BMW M car for his efforts. This year, he’s won an M6 Convertible in BMW Individual Frozen Blue Metallic; it’s a procedure he’s now quite familiar with. 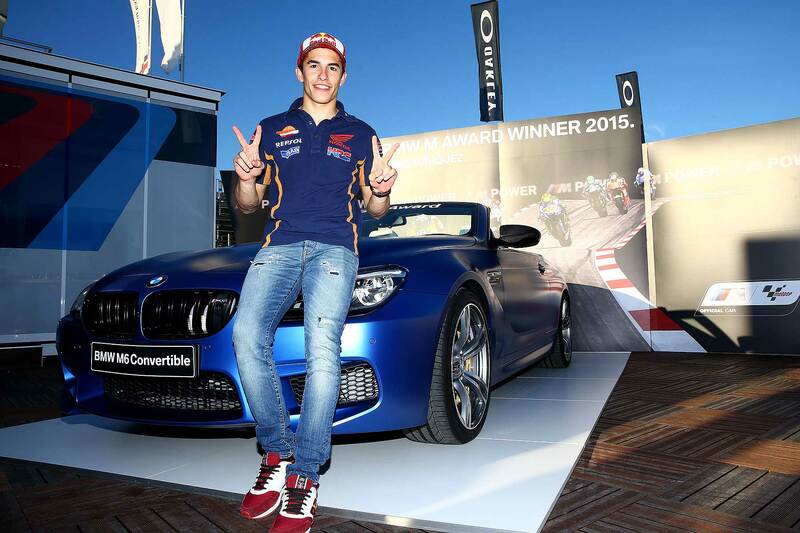 That’s because Marquez also won the BMW M Award last year, winning a BMW M4 Coupe for his efforts. And he also won it in 2013. The prize then? A BMW M6 Coupe. Naturally, he’s rather pleased. “I am really happy to have won the BMW M Award for third time in a row,” said Marquez at the prize-giving ceremony in Valencia. “For us riders, this award is always something special. “The fact that it is the BMW M6 Convertible makes this prize even more special. 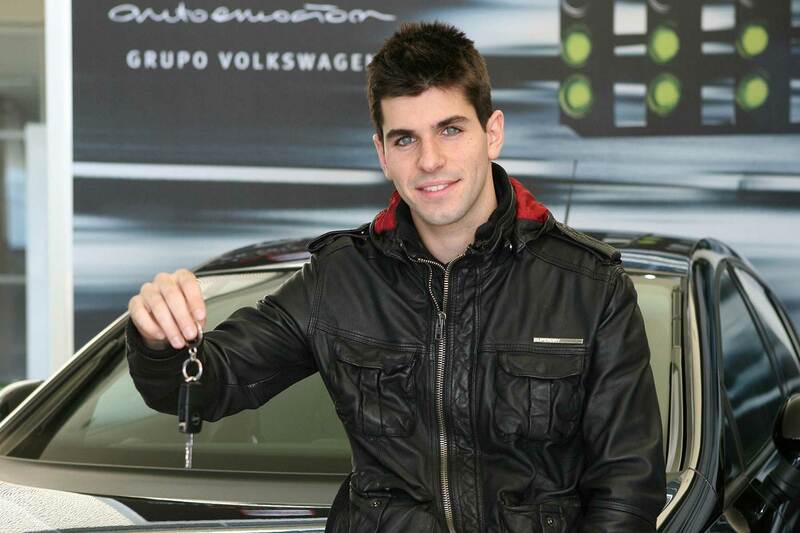 It is the first time that I won a convertible car and for me living in Spain, this is just perfect.” Well, quite. This year is the 13th time BMW has presented the M Award, one that is “highly coveted by the MotoGP riders,” said BMW M boss Frank van Meel. How does it work? During the MotoGP weekend, points are awarded for qualifying positions, just like they are in the race. Pole gets 25 points, second gets 20 points, 3rd gets 16, down to one point for 15ht. “Marc Marquez, Valentino Rossi and Casey Stoner are the current record holders, each with three BMW M Awards to their name,” says BMW, “with Marquez being the only rider who has won three times in a row. Former Toro Rosso has announced his retirement from motor racing at the age of 25 to begin a new career in music – under the stage name Squire. Alguersuari became the youngest Formula 1 driver ever when he started his first race at the 2009 Hungarian Grand Prix: he was also the first born in the 1990s to compete in F1. 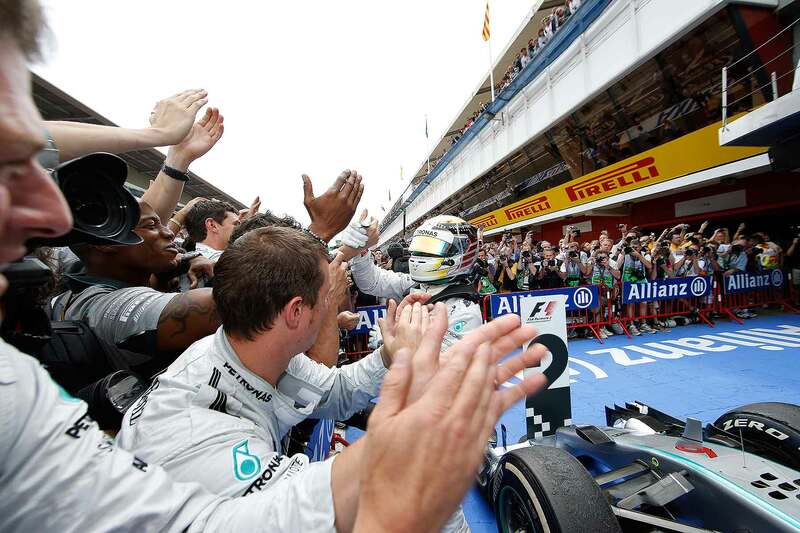 During his three-year F1 career, he scored 31 points in 46 races. The Spanish former racer also has a title to his name – he was the 2008 winner of the British Formula Three Championship, beating current F1 racer Sergio Perez in the process. He also raced in Formula Renault 3.5 during 2009, winning a race during the season, although his title challenge was stymied by his concurrent promotion into F1: he finished the year third in the points. After F1, Alguersuari raced in the Formula E championship in 2014 and 2015 – but missed the final two races of 2015 after fainting at the end of the Moscow ePrix in June; the FIA withdrew his racing licence while he underwent tests. Now, Alguersuari has officially retired from motorsport – but says it’s unrelated to his health issues. “I’m fine with no illness, but I have decided to stop because it is a time for a change. The accomplished DJ and musician will now focus full-time on his music career, following up the 2011 album he released under the name Squire (which you can listen to on Spotify). Alguersuari admitted “I have many people around me who do not understand my decision, but I want to live honestly, and that is now how I have felt in motor sport”. “I do not want more money,” he told Spanish newspaper El Confidencial, “I want to live the truth.” From one type of track to another: all the best, Jamie Alguersuari and Squire.